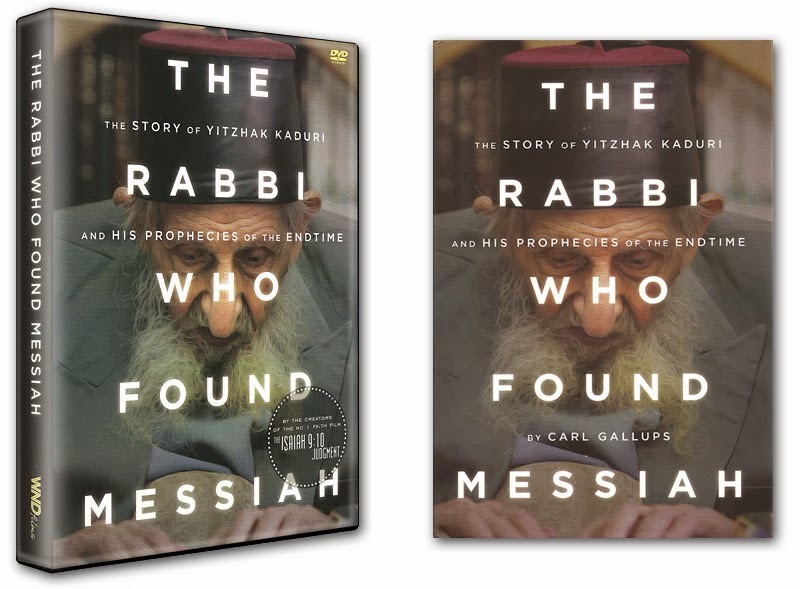 Dr. Reagan: In 2004, one of Judaism's most renowned rabbis, Yitzhak Kaduri, announced that the Messiah had appeared to him and revealed his identity. The rabbi said he had written the Messiah's name on a piece of paper and placed it in a sealed envelope. He also said he had given directions that the envelope was to be opened and the Messiah's name read to his followers one year after his death. 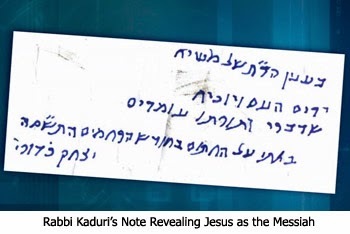 Rabbi Kaduri died in 2006, and sure enough, one year later in 2007, the envelope was opened and the name that was read shocked and horrified the Orthodox Jewish world. They are still in a state of shock today. Meanwhile, they've scrambled to cover-up what happened. Carl Gallups: You are right, Dave, it was very shocking. Another fact is that within ten weeks of him making that declaration, Rabbi Kaduri died. So, a year later after his death, the note was opened and put on his website at kaduri.net. It was reported on by Israel Today in several different languages, and by News First Class which is now called News 1. Also, there were screen captures of the note put up on the news websites. But, at the time, both the Orthodox and the news agencies didn't understand the note yet because Kaduri left it in a Hebrew coded format. Carl Gallups: Yes, that's very typical of Kabbalist and of Kaduri. Still, it was brilliant of him to leave the note that way, and you'll soon see why. Dr. Reagan: Before we get into the impact that revelation had on the Jewish folks, let me just say that since the book came out in November 2013, it has become a best seller. There's also been a movie made out of it, which has been a huge hit. Nathan Jones: The Kaduri story has been probably one of the most controversial subjects ever covered by Lamb & Lion Ministries. We've gotten so much feedback both positive and negative from Christians. Would you clarify some of their negative questions, Carl? Carl Gallups: Sure, I'd be happy to answer any questions. Nathan Jones: One person said that since Rabbi Kaduri was a Kabbalist, which is an animism type belief system, how then could the Messiah talk to him? They think since Kaduri was a Kabbalist, we should just throw out anything he had to say. They also pointed out that your book didn't condemn Kabbalism enough. Now, I've read your book and I believe you did, but maybe you could answer their concerns? Carl Gallups: Right. Not as a Baptist pastor. When the media tries to cover-up a story where Jesus' name is spoken as the Messiah from the most venerated rabbi in all of Israel, I knew someone had to get this story out there. Also, I did condemn Kaduri's involvement in Kabbalah. In fact, there's one whole chapter dedicated to Kabbalah which explains it from the most innocent form to the most evil form. I did a thorough exposé of Kabbalah, and I made it very clear that it's not the biblical, godly way to approach and interpret the Scriptures. Dr. Reagan: Also, one of your purposes was to get through to Jewish people, right? You couldn't very well start off a book by trashing Judaism or trashing Kabbalah and expect them to read the book. Carl Gallups: Exactly. Another thing is that a lot of Christians, especially Western Christians, don't understand that Orthodox Rabbinical Judaism is steeped in Kabbalah. So, in order to reach the Jewish heart and show them that Jesus is the Messiah, you can't very well start off by trashing the foundation of their faith. Dr. Reagan: Besides, this book isn't about Kabbalah anyways. It's about Rabbi Kaduri and what he did and its impact. 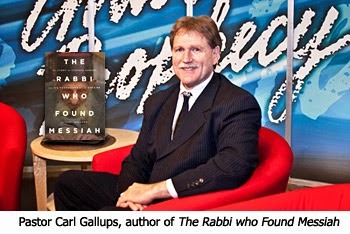 In the second segment of our interview with Pastor Carl Gallups on the criticisms of the Rabbi Kaduri story, he'll address two more.